This is a question I get asked often, and I actually have some strong opinions about it. I am all about breaking the rules though, so don’t feel pressured to adopt my opinions as a new rule. Personally, I loathe watermarks most of the time. I feel bad about this, but I have good reasons. 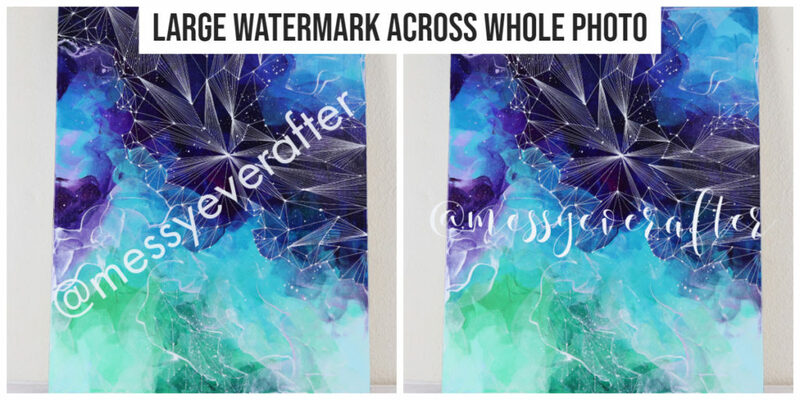 First, why do people use watermarks? To prevent their art from being stolen and copied. 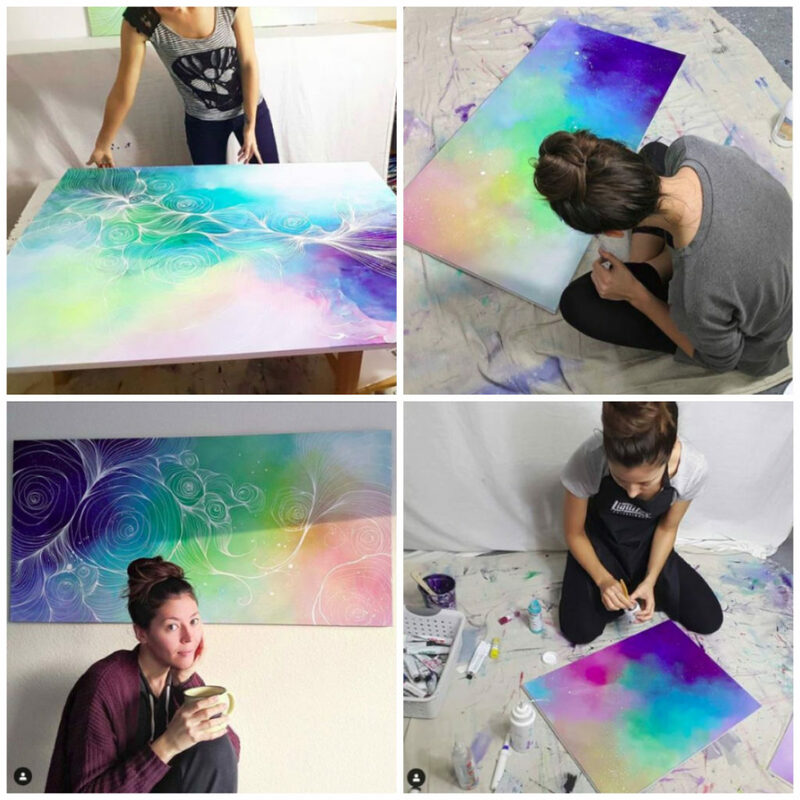 To make sure if their art is shared without credit, viewers can trace back to the original creator. That seems reasonable, right? So why do I dislike watermarks? For one, a lot of people have used watermarks in such a distracting manner that it ruins the viewing experience of a photo. Two, depending on the way a watermark is used, it sends an unintentional message from an artist’s ego and fear. I’m all about being intentional about the message you communicate to your audience, so—this is a problem for me. Everything you do as an artist sends a message. Deciding to use a watermark, and how that watermark is used tells me something about you. No matter what, using a watermark says “I think my art may be stolen or shared without credit.” And although I think all artwork has value and is worth stealing, when coupled with an artist’s personality, the declaration of “I think my art is worth stealing,” can leave a bad taste in the viewer’s mouth, because their ego or fear may be speaking to the audience before their art has a chance to. That’s what a giant watermark on your photo says. What would you think of me as an artist if I did this? Maybe “Wow, she sure thinks highly of her work. Pft. I don’t think it’s worth stealing.” When you present your ego, it evokes a response from the viewer’s ego as well. That’s probably not what you want to do. See how both images scream for you to look at the watermark and not at the art? Unless that is your intention, I’d avoid using that style of watermark. I’ve seen a lot of artists use this watermarking style and it’s my favorite. (@biophilicart, @jenaranyi) See how it doesn’t distract your eyes from the art? Do that. It’s basically like signing your photograph. It does not yell at the audience that they shouldn’t steal the art. It just credits the origin of the image. 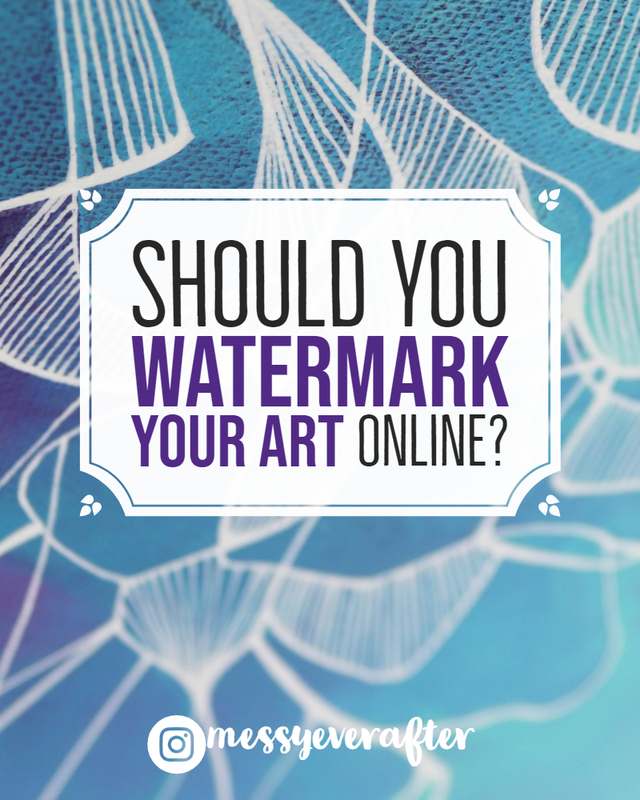 So, should you watermark your art photos? Small watermarks can be tastefully done. Big watermarks may be a distraction. Regardless of how you protect your art online, if someone is motivated enough, they will find a way to rip off what you do. Whether that’s through Photoshopping your watermark out, or just replicating your art and taking their own photographs. A watermark can only do so much in the digital wild west. No matter what, be smart about how you post your content online. Protecting your content online is a good idea (Thieves be thieving), but there are different ways to go about it. You can do a few strategic things when posting your work to protect your art without distracting viewers. Big watermarks aren’t the only option. Use lower quality photos if you post a straight on shot of your art. Don’t give a thief the ability to print your work easily by providing a high res, perfectly edited photo on your website. If you want to show details of a piece, zoom in on individual sections for multiple photos. 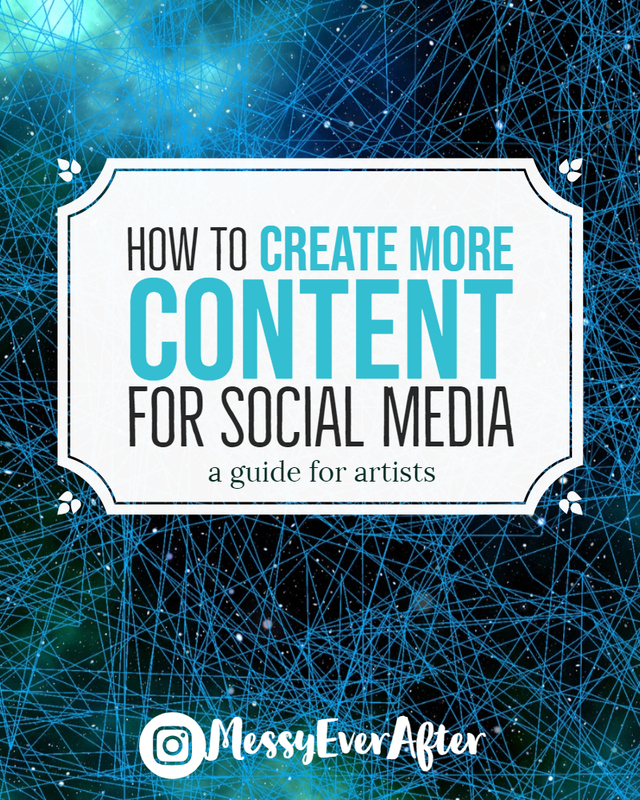 Take advantage of angles and dynamic shots of your art for social media. It’s harder to reproduce art from an incomplete view. Plus, dynamic shots make your art and your artist lifestyle look more interesting in photos. Only use small subtle watermarks in your photos/videos. You want your art to be seen and shared, so make sure your photos look good and sneak in your mark. Sign your work. Your signature can be your watermark. Work on that original style of yours. Building brand recognition for yourself is the ultimate watermark. I don’t watermark most of my social media posts, and it’s honestly out of laziness. Once you get into a routine of creating enough content to post multiple times a day, the fear of someone taking a photo or two really decreases. Like, go ahead. I’ve got 50 more where that came from. The only time that I really make an effort to watermark my content is when it comes to videos. Videos have the potential to be shared and spread around with viral intensity, and I just want to maximize how many people see my brand when that happens. So how about you? 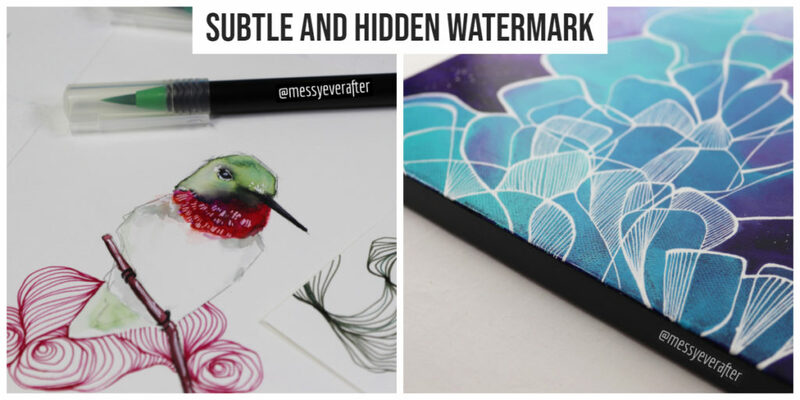 What do you think about watermarks? Leave your questions and comments below while commenting is open or reach out to me directly through Instagram or email. I’d love to hear from you! Do want to help me create more blog content? I want to keep creating content like this for free, but I need your help. If you enjoy my blogs and gain any inspiration from the content I put out there, please consider becoming a Patron of Messy Ever After on Patreon. Pledging just $1 a month enables me to keep helping artists like you. Plus, you get extra little perks. Every artist at some point has viewed a piece of art and thought “Wait, people like this? People think this is good? Why is this art getting attention? Even if you aren’t an artist, you may find yourself staring at a $10,000 red stripe across a canvas in an art gallery while scratching your head and thinking is this art really worth that much? The art world constantly struggles to assign a consistent value to art. I’ve gotten into arguments with classmates in college over “bad” art and whether the artist deserved attention. I’ve witnessed too many online trolls asserting that someone’s art was in fact lacking in talent, skill, and attractiveness even though thousands of people were double tapping the sh*t out of that post. Some art gets seen. Some art doesn’t. Some art gets approval from the masses, and some art gets a handful of likes and maybe a heart emoji for a comment. It doesn’t appear to make sense. When you are trying to become a successful artist yourself, it can be really frustrating to see art that you don’t respect get a lot of attention while your art collects digital dust. There is no inherently good or bad art. What is “bad” art to me is another person’s favorite style. What you see as “good” art is 100% being ripped apart in comments somewhere on the internet. Many people have tried to define what makes art good or bad, but it’s a waste of time to do so. It’s okay to not like someone’s art, but don’t ever fool yourself into thinking you have a universal definition for bad art. Everyone has different taste in art. 1. It’s new, different, or reinterpreted. I’ve personally looked at art that was sold for millions and let out a “psh, I could do that.” And yeah, a lot of us probably could replicate the art that we deem as “bad”, but that’s not the point. It doesn’t matter how many people are capable of creating that same composition. It doesn’t matter how simple the art is or how easily it can be replicated. It’s about who did a new thing first. The creative world loves to re-imagine old techniques. To combine elements that haven’t been seen together. To shake things up and go against the grain. Maybe the end result doesn’t look attractive, or maybe the artist didn’t have a lot of technical skill, but the fact that it’s something different can create a lot of buzz in the art world. 2. It’s about the message. I used to sit through a lot of critiques in my art classes, where an artist would show a very, let’s say interesting piece of art. I personally didn’t like the art and naturally labeled it as bad in my head. Then the artist would give their reasoning for what the art means and suddenly everything shifted. Art is often not just something to look at. It’s created as social commentary. As a means to discomfort an audience or make the audience think critically about whatever the artist wants them to focus on. Why it was created sometimes means more than the creation itself. It doesn’t have to be pretty, or technically skillful. Art that makes us think and shifts our perspective is effective art. 3. It’s about the artist. I tell all of my consulting clients about the power of their brand and their story as an artist, because it can matter more than their art. Think about the artists you love. 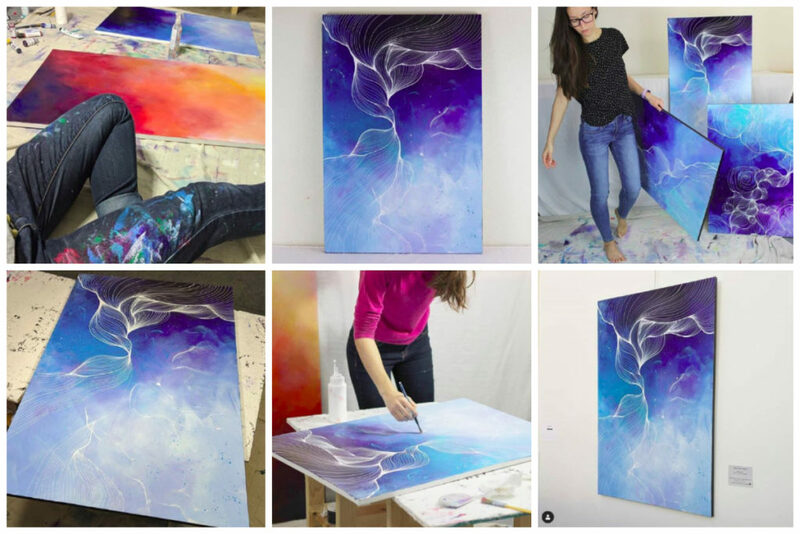 Once you get to know the artist behind the work, it changes how you see their work, right? Think about Banksy and Andy Warhol. Their art alone isn’t what draws in a massive audience. It’s their story. Banksy for being a veritable mystery and Warhol for manipulating the commercialized aspect of art and turning himself into a celebrity. Once the artist becomes more interesting than the art, anything they create will get attention. Good or bad. 4. It’s about showing up and making art. Sometimes a piece of art will get a crap ton of attention just because an artist was in the right place at the right time. It can seem like luck, but it’s actually because an artist continued to show up and make art even when people weren’t paying attention. Last fall, one of my Instagram videos took off out of my control. The original video on my account has over 800k impressions and it was shared on numerous big art accounts. I will be the first to say that the art isn’t anything special. It’s not better than other art and it didn’t necessarily deserve that much attention, and yet it was seen and liked by many. Make art. Share it with the world. Do it consistently and do it often. 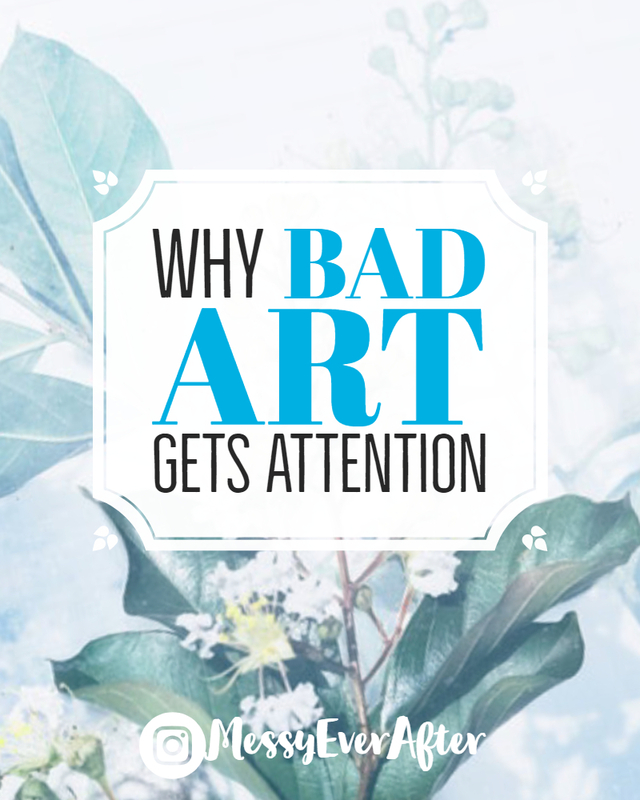 It’s not the artist’s job to be concerned with whether the public will think it’s good or bad. The artist needs to make art and put it out there. I promise you, if you do this, the chances your work will get attention will increase dramatically. Last week, I wrote a post about why you should support other artists and I mentioned the power of kindness. There will come a time when you see a piece of art that is technically bad, its subject matter is tired and overdone, the artist’s style isn’t developed, their story isn’t interesting, and overall the piece really is just ‘meh’, yet it will have loads of positive feedback. Why? Because some people are just really f**king nice and want to encourage that artist to keep doing what they love. Don’t get your undies in a bundle because someone is being nice to another artist. It’s a miracle in this digital time where trolls run rampant. Art doesn’t have to deserve or earn kindness. Positive feedback can be given freely. Surround yourself with a positive community and be kind to other creators and you’ll likely get the same positive encouragement with your own art. You can ask this with an open mind, or with your ego. When you genuinely wonder what elements made a piece of art successful in the public domain without judging the art as bad, your mind is open. You can actually hear the answers to questions like why is this art interesting? What is the message? What is the story? Why is this meaningful to so many people? And then ultimately, how can you replicate this success with your own art? When you ask this question with your ego you’re not actually open to the real answers. Your ego is primed and ready to tear that art and the artist down to protect itself. Your ego turns it into a competition and I want you to catch yourself when that happens. Artists don’t need to compete with each other. Don’t elevate yourself by standing on the crushed feelings of other artists. Bad art getting attention and good art being ignored is part of being an artist, but you just have to keep putting your work out there until the spotlight eventually moves to you. But if you waste your time judging other artist’s work, you’re only distracting yourself from the cool stuff you could be making. What do you think? Leave your questions and comments below while commenting is open or reach out to me directly through Instagram or email. I’d love to hear from you! Help an artist out: I want to keep creating content like this for free, but I need your help. If you enjoy my blogs and gain any inspiration from the content I put out there, please consider becoming a Patron of Messy Ever After on Patreon. Pledging just $1 a month enables me to keep helping artists like you. Plus, you get extra little perks.